Note: We will keep updating this list with new Pixel 3 XL cases and covers, so make sure to check back from time to time. 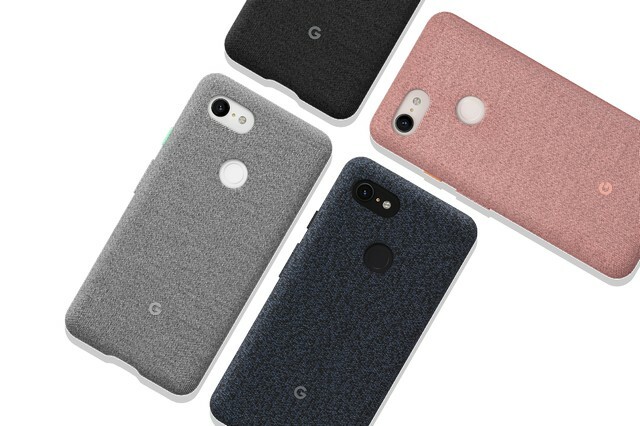 The Pixel 3 XL Fabric Case featured here is one of the handful of cases that is currently available for pre-order on the official Google Store. 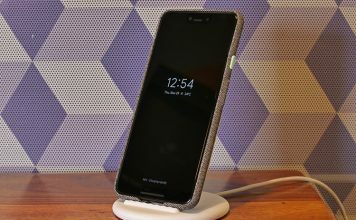 The device is made out of nylon and polyester fabric polycarbonate materials, and is compatible with the Pixel Stand, which means it won’t interfere with wireless charging. It’s priced at $40 with free shipping, and is available in four different colors – Carbon, Indigo, Fog and Pink Moon. 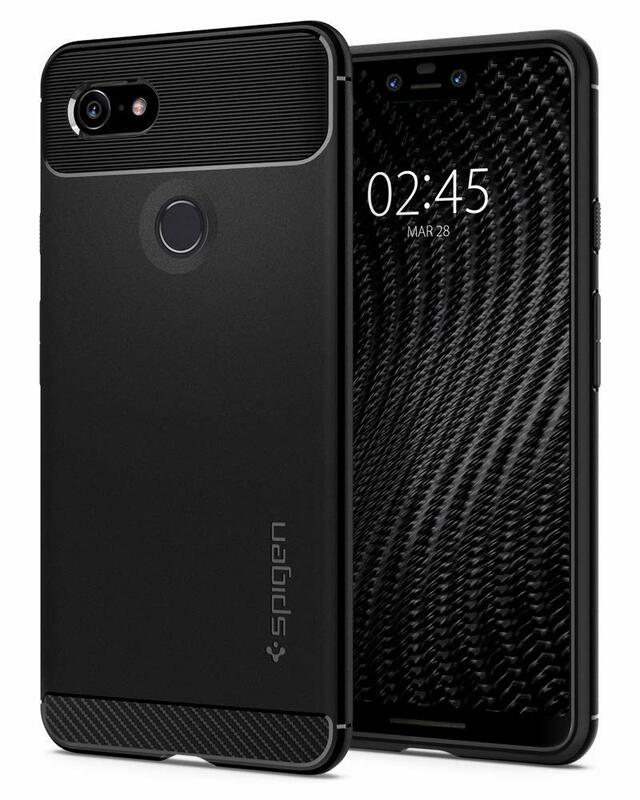 The Spigen Rugged Armor Case is made out of a flexible TPU material and has a Carbon Fiber design that offers resilient shock absorption. 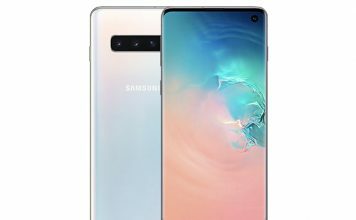 It comes with a spider-web pattern on the interior and a raised lip on the exterior to protect the screen. The case is Military-grade certified with Air-Cushion technology that ensures optimum shock-absorption for every drop. Overall, it will provide comprehensive protection to the Pixel 3 XL in spite of its slim profile. The case is compatible with wireless charging. 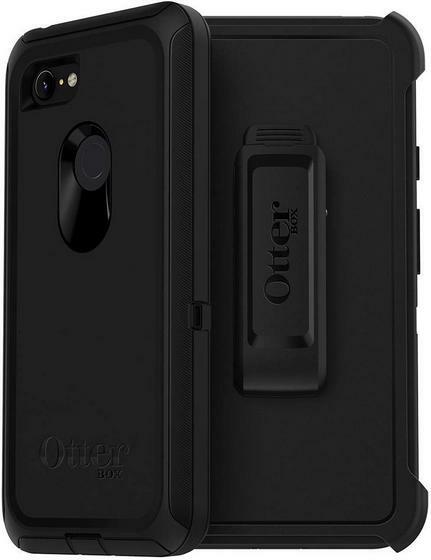 The OtterBox Defender Series offers some of the beefiest, most rugged cases for a wide range of smartphones, and the unit on offer for the Pixel 3 XL is no exception. 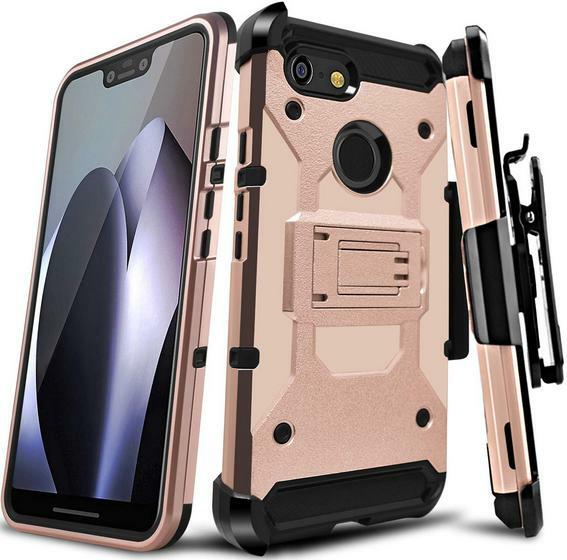 The case offers multi-layer defense and comes with a solid inner shell fused with a soft outer cover to defend your device against drops, dirt and scrapes. It also includes a belt-clip holster that doubles as a kickstand for hands-free media viewing. Do note that this is the ‘screenless’ edition, which means it doesn’t come with a screen protector. Rugged cases are great, but they do compromise on the look and feel of the smartphone. That’s exactly where ‘clear’ cases like this Spigen Liquid Crystal unit comes in. 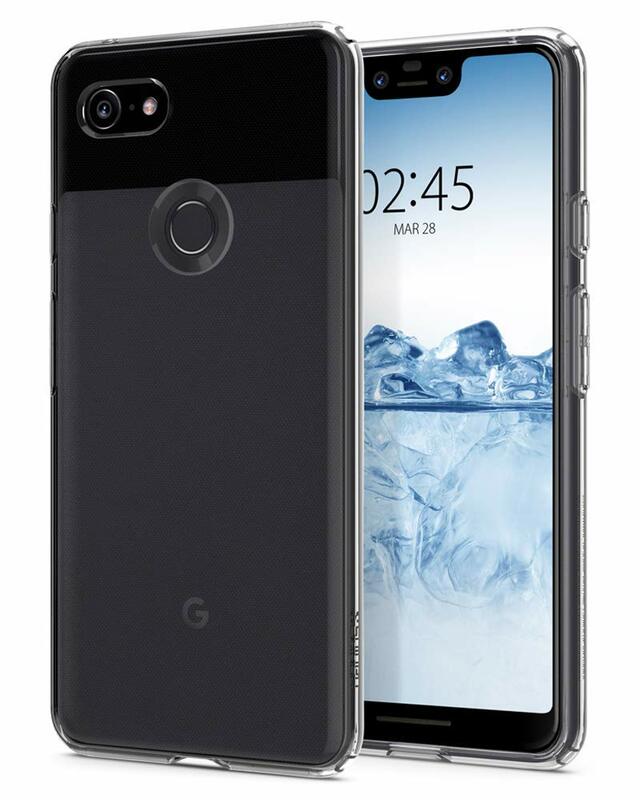 Built out of a clear and flexible anti-slip TPU material, the case offers a slim and lightweight alternative that will protect your Pixel 3 XL without making it hefty and/or unwieldy. It comes with Air Cushion Technology built into all four corners for enhanced drop protection. The case has reinforced buttons and supports wireless charging. Folio cases offer the best of both worlds, not only providing protection to the device but also doubling-up as a wallet. Maxboost is one of the accessory makers that make great wallet cases for a wide range of smartphones, and this particular unit made for the Pixel 3 XL is no exception. 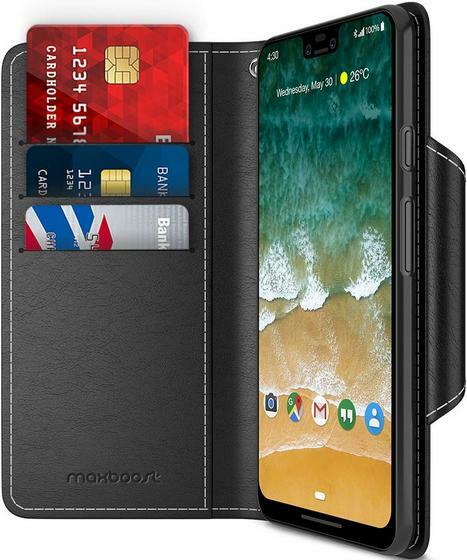 It’s crafted out of PU Leather and features 3 card slots, a side pocket for money or additional cards, and a magnetic lock design. It also comes with reinforced protection for the corners and sides, while a raised lip protects the screen. Maxboost is also offering a lifetime warranty on the product. 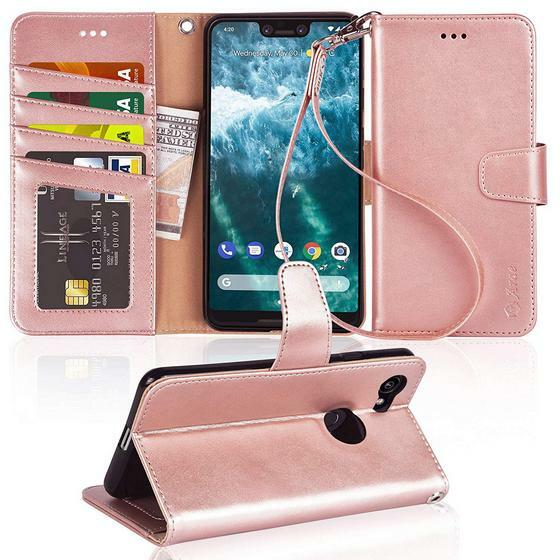 The Arae Wallet case for the Pixel 3 XL is made of premium PU leather, which is good news for all you animal lovers. As is mandatory in all wallet cases, it comes with four built-in card slots and one pocket to conveniently store ID, Credit Cards & Cash. It’s also got a magnetic closure mechanism to keep your phone and money safe. 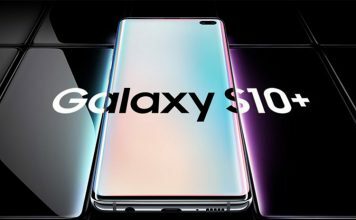 The case comes with a soft TPU inner screen that prevents the device from getting scratched, while its built-in kickstand makes it easy to watch videos hands-free. It’s offered in Black and Rose Gold (featured here). If protecting your phone from serious damage in case of accidental drops override all other concerns for you, look no further than this bad boy from Leaptech. It’s a heavy duty Armor case that promises full-body protection from shocks, falls and bumps, thanks to four reinforced, protective layers. It’s got added drop-defense at each corner and a raised edge to protect the screen. 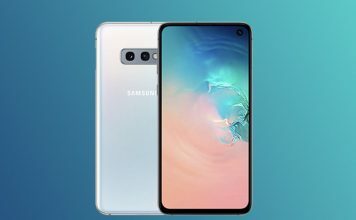 It comes with a 360-degree rotating holster belt clip to carry the device more conveniently, and doubles-up as a kickstand for the convenience of watching movies and media hands-free. The above cases and covers will offer great functionality and protection for your precious new Pixel 3 XL. 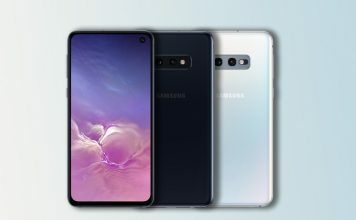 Some of them are also available in a number of different colors that should endure them to the vast majority of consumers, so each one of you will find a case that will be perfect for you. So go ahead, buy the one you fancy and do let us know which one you chose and why.